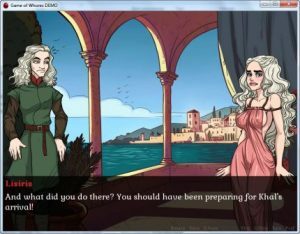 Game of Whores A parody game based on the Game of Thrones franchise, you’ll play has Danys the Mother of Dragons, following her story line in a parallel universe to the Game of Thrones. The game as a Akabur look to it. ?